Through forest restoration, support of grassroots projects in Sumatra, campaigning and raising awareness of the issues affecting the Critically Endangered Sumatran orangutan, Sumatran Orangutan Society carries out tireless and invaluable work for the protection of one of the great apes which is most at risk of extinction in the wild. With support and facilitation from Sumatran Orangutan Society, I travelled to Sumatra in April 2014 and spent two weeks with the staff of projects and initiatives they support. Those two weeks were some of the toughest I’ve ever experienced, but were also incredibly inspiring: I saw the effects of the worst of humanity, and the strength and determination of the best. 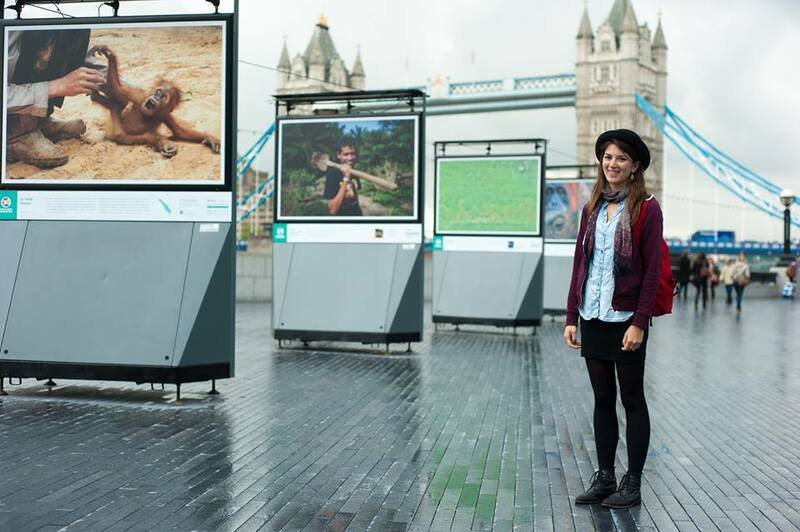 In addition to writing about my own experiences on that trip, I contributed to Spotlight Sumatra, which ran in London throughout May 2014 to raise awareness of the issues facing Sumatra’s unique biodiversity, assisting in the writing and editing of captions for the exhibition panels.